Los Angeles, Calif. – At the invitation of Beijng’s National Centre for the Performing Arts and sponsored in part by the U.S. Embassy in Beijing and the U.S. Department of State, L.A. Theatre Works (LATW) will return to China in June, 2013 with Geoffrey Cowan and Leroy Aarons‘ riveting historical drama, Top Secret: The Battle for The Pentagon Papers. 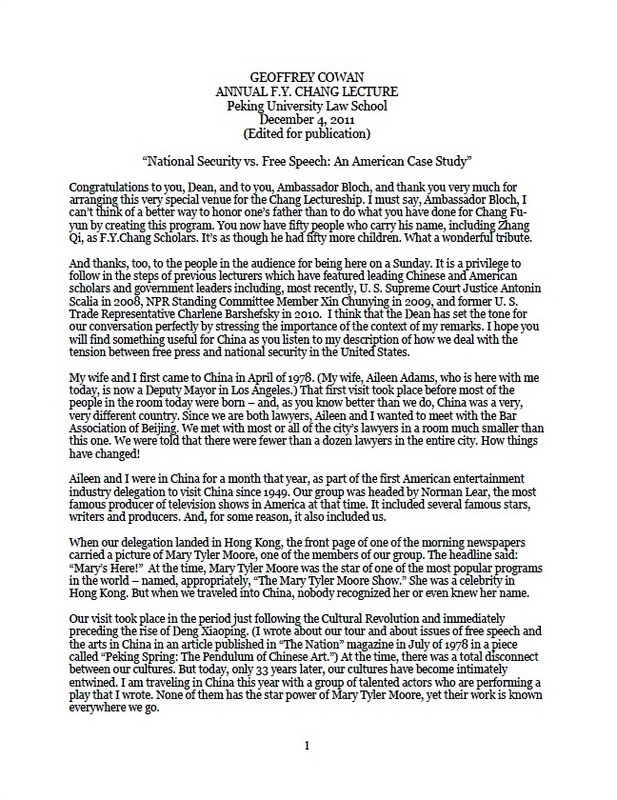 LATW toured China with Top Secret in 2011, playing to sold out houses of Chinese professionals and students. 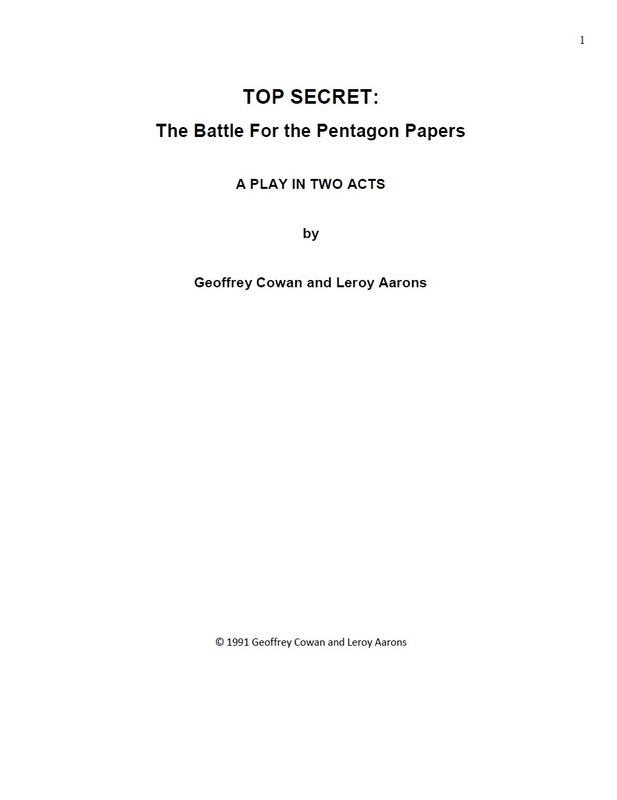 Top Secret: The Battle for The Pentagon Papers is an inside look atThe Washington Post’s decision to publish a study labeled “top secret” that documented the history of the U.S. involvement in Vietnam. The subsequent trial pitted the public’s right to know against the government’s need for secrecy. The epic legal battle went to the nation’s highest court – arguably one of the most important Supreme Court cases. Traveling to China with L.A. Theatre Works will be their producing director Susan Loewenberg; multiple award-winning director Brian Kite; and cast members Margaret Colin (Eleanor Waldorf-Rose on Gossip Girl), John Getz (The Social Network) and Gregory Harrison (Trapper John M.D., One Tree Hill, Ringer). Also in the cast are Hugo Armstrong, Josh Clark, Henry Clarke, Nicholas Hormann, Emilie Ohana,Darren Richardson, Peter Van Norden and Tom Virtue, who are known to Chinese audiences from popular TV shows such as CSI, Drop Dead Diva, Star Trek: Deep Space Nine, Six Feet Under, Weeds, Studio 60 on The Sunset Strip, The Office, The West Wing, Frasier, Seinfeld and Ally McBeal. As part of the tour, L.A. Theatre Works is coordinating discussions with Chinese journalists and lawyers at leading law schools, journalism schools and history and political science departments in each city on the tour. 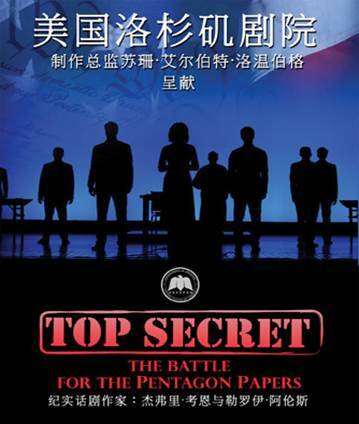 Covering the 2011 Chinese tour for The New York Times, Andrew Jacobs wrote, “During its 10-day run ‘Top Secret’ has played sold-out audiences…with many performances erupting in shouts of approval from the audience and standing ovations. 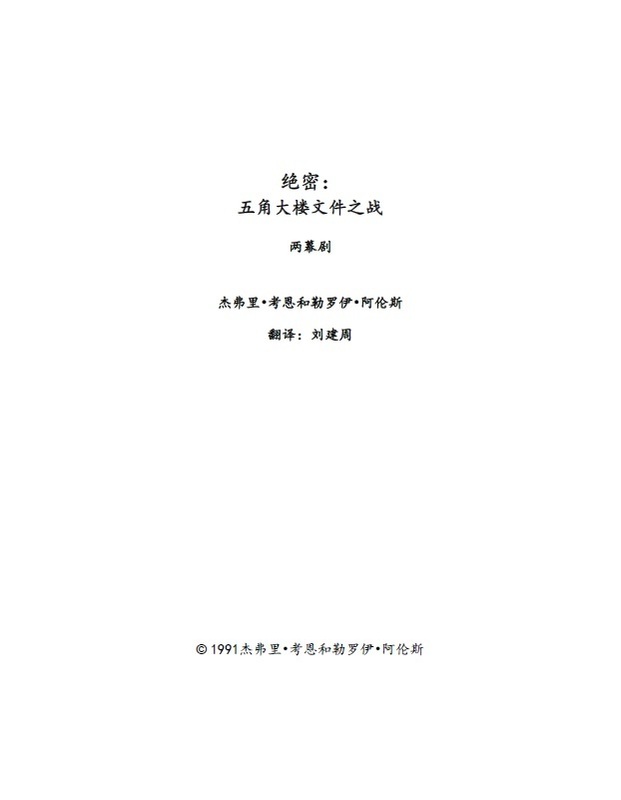 Perhaps most gratifying…was that those audiences were almost entirely Chinese and young.” Agreed Evan Osnos, in The New Yorker, “The shows had no trouble finding an audience… ticket-holders showed up in droves, representing a range of China’s scrappiest news organizations. The audience was overwhelmingly Chinese—and overwhelmingly full…It was thrilling.” Additonal coverage of the tour appeared in the Los Angeles Times, Le Monde, CCTV, China Radio International, Shanghai Daily, Global Times, Time Out Beijing, Time Out Shanghai, and Caixin Media, among others. L.A. Theatre Works is the leading radio theater company in the United States, committed to using innovative technologies to preserve and promote significant works of dramatic literature and bringing live theater into the homes of millions. The company’s public radio series, featuring stage plays performed by America’s top actors augmented by interviews with the artists and others, can be heard in over 100 markets in the U.S.; on Radio Beijing in China; on SiriusXM Book Radio Channel 80; and can be streamed on demand atwww.latw.org. The recordings are available worldwide through Amazon, audible.com, iTunes and in bookstores. L.A. Theatre Works audio plays are also available at over 11,000 libraries, and recordings and teaching materials are used by over 3,000 middle and high schools across the U.S.
Sponsors include the United States Embassy Beijing, Bureau of Educational and Cultural Affairs–US Department of State including the Arts Envoy Program, Ford Foundation, China Southern AirlinesLos Angeles Office and Marriott Hotels and Resorts, including the Imperial Mansion, Beijing-Marriott Executive Apartments; Renaissance Tianjin Lakeview Hotel; and JW Marriott Hotel Chongqing.